Ordering: Effortless, just send information and wait for confirmation. No account required. Fast delivery was processed and shipped the same day. Kratom King Canada will ship orders the same day if placed before noon. Packaging: Received a sampler pack with nine different strains filled in 6-gram sealed baggies. Everything packaged professionally with care. Communication: The only vendor that responded to all my emails and within 24 hours. Best customer service in the Industry. Product/Price: I would recommend anyone new to buy their sampler to find the best strain that suits you. 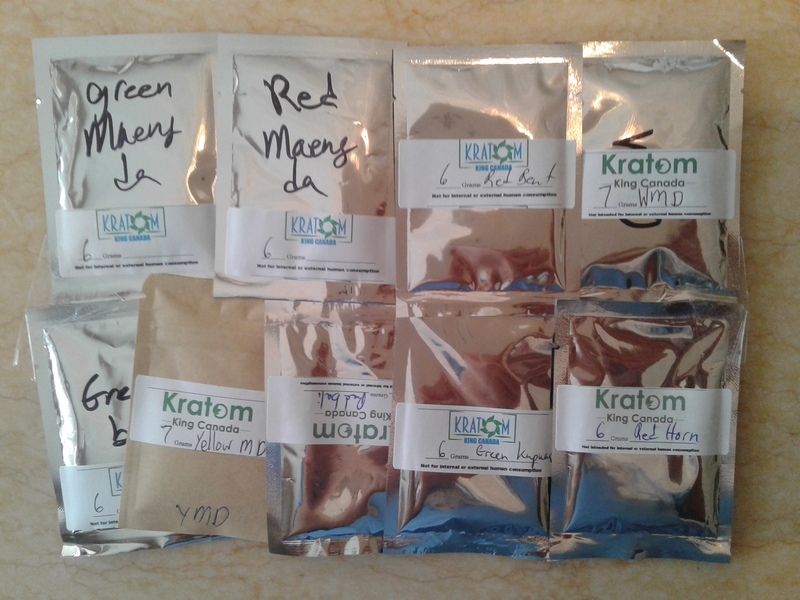 If it weren’t for Kratom King Canada, I would never be able to experiment with every single type. I would have bought each strain one at a time in 100-gram packages. All the products are authentic as advertised. It was more potent than some of the other vendors. I received Green Maeng Da, Red Maeng Da, Red Bent, White Maeng Da, Red Bali, Yellow Maeng Da, Green Bali, Red Horn, and Green Kapuas. My favorite was the Yellow MD and White MD. Surprisingly, all of the Strains were different and had different effects. Everything is reasonably priced with great deals if you buy bulk. Notes: Honest opinion their website might not look as appealing as the others, but everything else is on point. Product Quality and Excellent Service. Kratom King Canada is very active in the community, and you can reach them on Reddit. Looks can be deceiving, the best way to find out is to send an email and see how responsive a business is. I have emailed every single vendor in Canada and rated Kratom King Canada number 1 for responsiveness. Whenever they upgrade their website in the future, I will turn the four into a five. How can I buy some?